APPS! 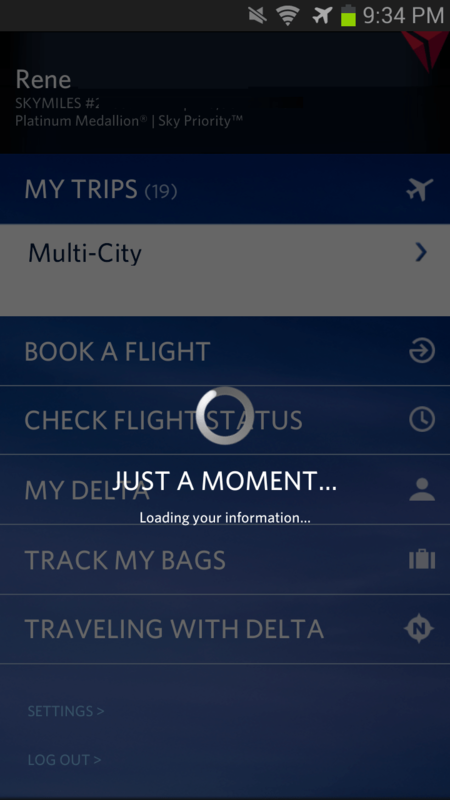 Delta, KLM, AF, Airport – Gee Whiz there are a TON of APPS! I have been a HUGE fan of the Delta phone APP but after all the latest updates I have been a bit cranky as I have found a few bugs. Many times it will freeze on me and after a while just say the APP has crashed and stopped working. Then, I can go back in, and it will work fine for a while. But, it is still much slower than before and can take a full 60 seconds just to load some days. I am ready for version 3.0 as this update feels a bit like moving from Windows XP to Vista – yuck! Anyway, since I do have a FB number, that can be useful for all sorts of reasons as a Delta flyer, I thought I would tinker a bit with the FB APP. 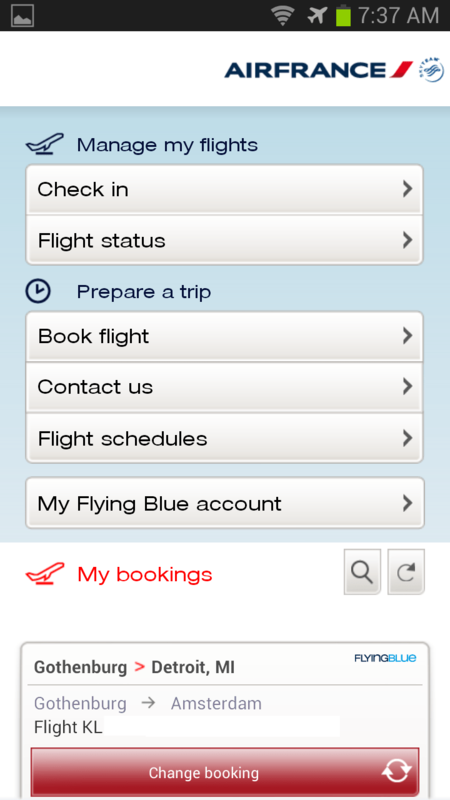 It is ok and I can pull up the Delta flights with KLM segments. It seems basic but works. As you can see from the above, it does not like to DO anything with them. How very “French” of them (I kid, but only a little). 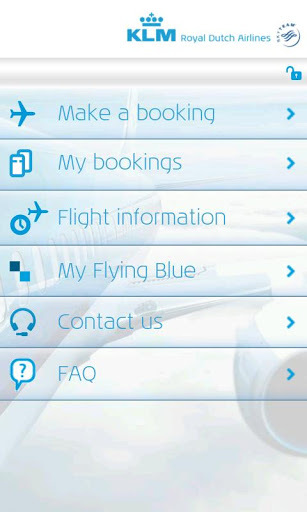 There are also a plethora of airport APPS. 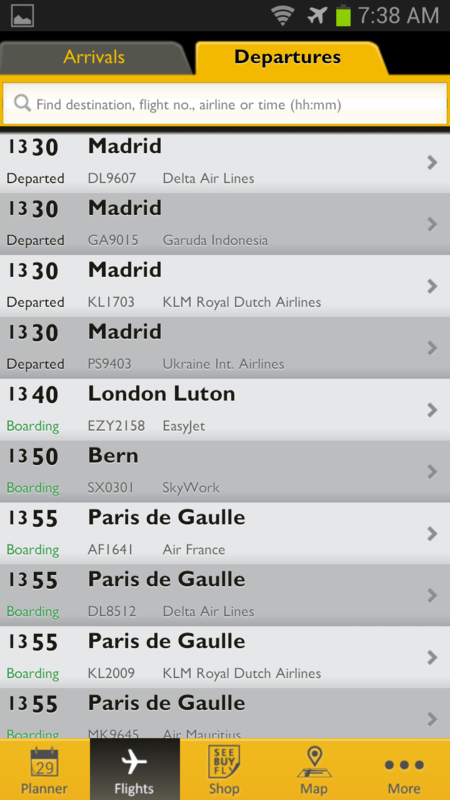 Amsterdam’s airport has an APP that has a few nice features, one of them being the current “flight board” you would see around the airport or in a Crown Lounge. Also a few airport maps and other info like trains and buses etc. Not all bad and with some free WiFi at the airport in AMS, this can be a somewhat useful tool. 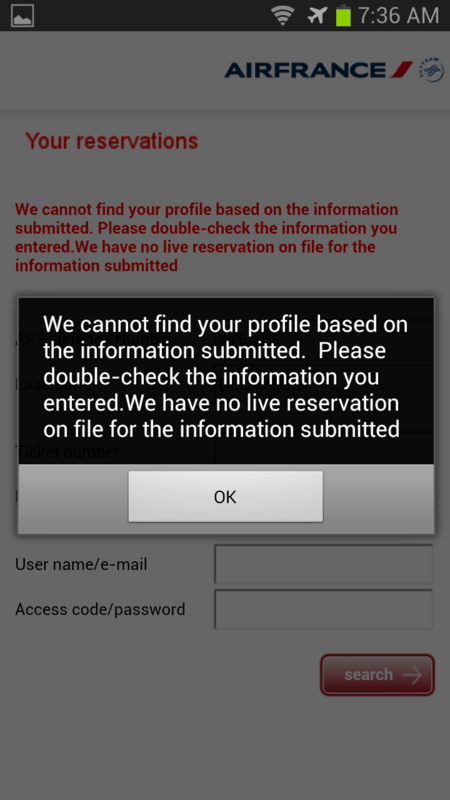 The Delta Android app is functional about 50% of the time for me. It has been that way since day 1. It’s completely random as to whether it will work or not. Unfortunately, since it is so unreliable, you can’t really depend on using it as when you really need to do something it may not work. The most recent version definitely seems to be a lot slower and more prone to not working. I have noticed that it takes much longer (like 60 seconds as you said) to load pages now compared to previous versions as well. Can’t wait to hear about apps others use!! If you like the AMS app because of the flight board, look into the FlightBoard app which shows flight boards just about anywhere.